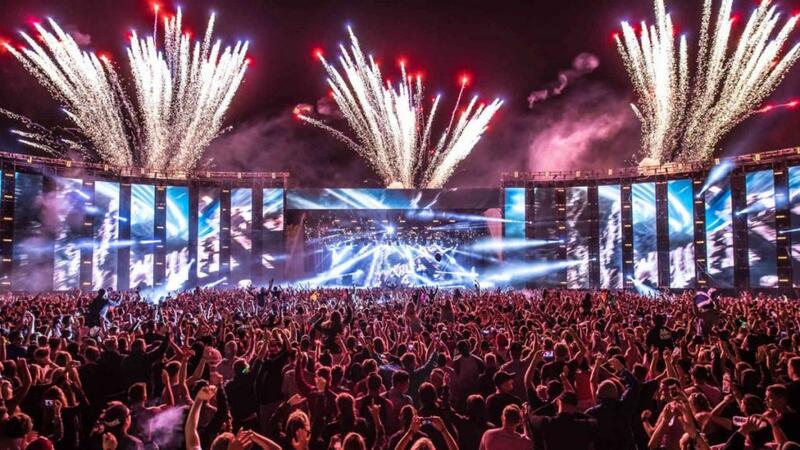 Creamfields, the legendary dance music festival series, is bringing its iconic Steel Yard back to London this year for another unforgettable weekend at London's Finsbury Park. Famed for bringing the biggest artists from across the electronic music spectrum to the capital every summer, Creamfields continually attracts crowds of over 70,000 music fans thanks to its incredibly immersive stages, unforgettable light shows and mind-blowing pyrotechnics, and Steel Yard is no exception. Now a central component of the Creamfields series, Steel Yard has become one of the brand's most notorious highlights. Dominating the festival at 20 metres tall and capacious enough to house 15,000 revellers, the Steel Yard brings in fans from around the globe who are keen to experience its unique atmosphere. Spanning across the May Bank Holiday Weekend, the Steel Yard is maintaining its reputation as being a revolutionary force of electronic dance music. Topping the line-up on Saturday is dance music pioneer Eric Prydz, who this year brings the latest edition of his infamous HOLO show to the Steelyard, solidifying his status as a true innovator of EDM. Prydz first debuted his live, holographic experience at last year's Creamfields festival, utilising ground-breaking audio-visual technology to create a full-throttle experience. Headlining the Steel Yard on Sunday is Carl Cox, who will be showcasing his trailblazing Space Ibiza show. Carl Cox is undoubtedly one of the nation's favourite DJs, so it's no wonder that he was recently named the world's number one. Having led the way for dance musicians for more than three decades, Carl Cox is indisputably one of the world's most recognised DJs, so his Space Ibiza show at this year's Steel Yard is not to be missed. Also taking to the Steel Yard on Sunday is critically acclaimed house music DJ, Eats Everything. Few producers in the genre's history have made such a far-reaching impact on the electronic music scene, so this set is a must see. Also performing on Sunday is Grammy-nominated producer and internationally renowned DJ, Nic Fanciulli. Famed for being one of the few musicians to achieve international acclaim on the strength of his DJing alone, his Steel Yard set is sure to be explosive. Stick around on Sunday for further sets from Richy Ahmed, Steve Lawler and Clara Da Costa. What a weekend! Unsurprisingly, tickets to Creamfields presents Steel Yard 2019 are selling fast, so head here https://www.creamfields.com/st eelyardlondon before it's too late!